A maximum of 2 tents allowed per site. *No Charge for Children 6 years old and younger. Maximum stay of 3 weeks allowed per cabin. A reservation deposit is due at the time of reservation with the balance of site rent due at check in. A minimum three day reservation and deposit is required for major holiday stays. 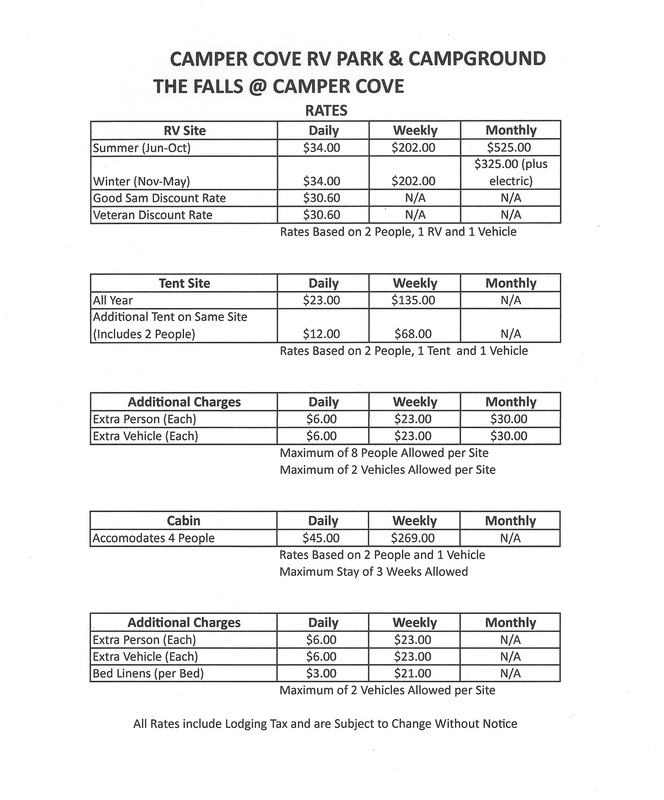 Cancellations made more than 48 hours before the reservation arrival date shall be charged a $10 processing fee. Thereafter, the full deposit shall be forfeited. Rates may change without notice. NO REFUNDS ARE MADE FOR EARLY DEPARTURE.